The 'nose' of the Pendolino ensures a high level of aerodynamics. Photo: Alstom. Italo-NTV has signed a contract worth €330 million with Alstom for five more Pendolino EVO trains. 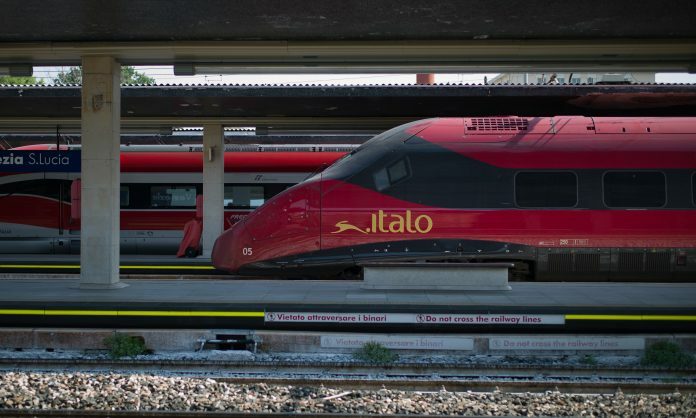 The train company, Italy’s first private high-speed rail operator, has exercised the option from a contract signed in October 2015. It also includes 30 years of maintenance. As a result of the acquisition, Italo-NTV now has a fleet of 22 Pendolino EVOs, half of which have entered service. In addition it has 25 AGVs in its fleet, which were also built by Alstom. The new rolling stock will allow the operator to expand its services to offer new routes and increased frequencies. Italo-NTV’s seven-car Pendolino EVO trainset is part of the Avelia range of high-speed trains. The 187m-long train has a maximum speed of 250km/h and can accommodate around 480 passengers.